Most herbs are available at AstroHerbalist’s Amazon Store. However, if at all possible, grow and/or harvest your own herbs (or weeds)! For herb purchases, including seeds, try your local herbalist, herbal apothecary, health food store or other local provider first. If they cannot provide what you seek, try my favorite, Horizon Herbs. You may also wish to try Mountain Rose Herbs. Because I am, amongst other things, a Master Herbalist, I was approached to share some good herbal research links on the internet. Here are some EXCELLENT ones. 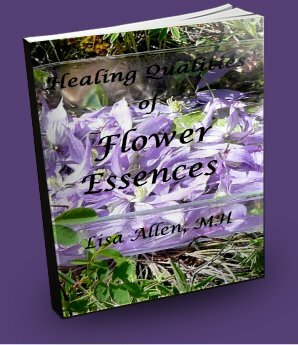 If you are looking for Lisa’s Posts on Herbalism – Click Here! If you are interested in attending an Herbal School, Click Here! Also Click Here! As a “Must-Read!” Check out Jesse Wolf Hardin‘s articles on how to go about your herbal training – be it formal or informal, discussing herbal licensing, diploma and certification issues, and the advantages (and disadvantages) to each path – see Part 1 and Part 2 and study these carefully before choosing. Here is a Calendar of Herbal Conferences, Symposiums, Festivals and Gatherings for the USA! Along with the American Herbalists Guild, check out the International Herb Association too! For a quick start – look in your Spice Cabinet! Then cross-check here for herbal actions of many spices! If you decide to try 10 at a time, use this list or this list. Nicolas Culpeper’s “Complete Herbal” – very excellent resource! Here is another version! Download them here! Also look for other Culpeper works, like the English Physitian and his work with Medical Astrology, found here (scroll down). For Herbal Latin Names for Culpeper’s work, (except for a possible oversight, Herb Robert, which is Geranium robertianum), check this handy reference. Also found this informative piece! Dr. Christopher’s Herb Shop (and their blog) is for purchasing Dr. John R. Christopher’s formulas, created as they should be (the only way to do it better is to grow and make it yourself!) For more on Dr. Christopher, the Founder of the School of Natural Healing, where I went to school to get my MH, visit HerbalLegacy.com. This site has lots of information – single herbs, formulas, conditions, and treatment programs, all here! North American Institute of Medical Herbalism, Inc.’s MedHerb Publication and Materia Medica, and don’t forget to get William Cook’s Physio-Medical Dispensatory (1869) in PDF! NCBI’s Library: Read FREE online Herbal Medicine 2nd Edition. “Plant Lore, Legends and Lyrics” by Richard Folkard, 2nd Edition (1892) can be found in PDF here! I just LOVE Matthew Wood’s website – check out his Principles of Western Herbalism Article! Internationally known Animal Herbalist Greg Tilford of Western Montana has a GREAT herbal pet blog, complete with an Animal Herbal Materia Medica! The National Institute of Health (NIH) has this handy PDF Herbs at a Glance with many herbs as a free download, or visit the National Center for Complementary and Alternative Medicine (NCCAM) website. While the information presented in this booklet is not complete, it can be a springboard to do deeper research or to ask questions of your herbalist or other knowledgeable natural health care provider. Like the EthnoEcology Herbal and Botanical info here! Some nice references: Rosemary Gladstar’s Formulary and as an aside, Rosemary also with others co-created the United Plant Savers, a non-profit organization that educates the public and protects the overharvesting of wildcrafted herbs that cannot regenerate as quickly as harvested by encouraging herbalists to purchase ethically-cultivated endangered herbs instead of wildcrafted – and recommends for herbalists whenever possible to use more sustainable, “weedy” plants for our medicine and apothecaries. Jonathan Treasure’s Herbological has some sensible and non-biased articles on Herbal “Contraindications” with Pharmaceuticals and believes there IS a sensible middle-ground to traverse. Look into purchasing this book, or when offered, consider joining the online version, updated annually. Two more websites worthy of a look – the cross-checking GreenMedInfo and RxISK.org! See RxISK’s page for assessing dangerous side-effects of prescription medications BEFORE deciding to take them (or allow your kids to take them). Enjoying the articles and webinar archives at the School of Modern Herbal Medicine‘s website, one of which on March 20, 2012, they will have a free webinar for Herbal Identification – tune in wildcrafters! Webinars from Seed Savers; and Seed Alliance – Learn how to save heirloom seeds, much of their online material is FREE! Fermented Foods on Wild Fermentation’s website. Speaking of wonderful herbal conversations, check out the Herbwifery.org Forum! Columbines School of Botanical Medicine’s Howie Brounstein on Herbal Smoking Mixtures and check out this link and this link too. “A Modern Herbal” by Maude Grieve Online! TONS of Herbal Texts here, and don’t skip over the Eclectic Medicine and Thompsonian stuff – check it out! More great herbal texts online at Henriette’s Herbal by Henriette Kress: Especially her Classic Herbal Texts Index Page – amongst my favorites, would be the Eclectic Texts and the Homeopathic Text. Also make sure you purchase her excellent all-levels book, Practical Herbs – only $5.50 for eBook! You may wish to try PubMed.gov for specialized information – try Pub Med Central or the NCBI Taxonomy Guide. Get the FREE PDF eBook Download: When There Is No Doctor here! For Herbal Options as well as other treatments available for Cancer – exploring CancerTutor.com is imperative! For Psoriasis, this can be a very persistent issue. Find a Homeopath for your constitutional remedy, and also look at this protocol using 7% Iodine, available through Amazon. Naturally Simple has a list of her Favorite Herbals HERE, both online and books! For those who may be interested in Scottish Herbalism, found some Videos HERE! You can also learn if you are near Oregon – check out CelticHerbs.com. And no matter whether you get training for being an Herbalist, Homeopath, Massage Therapist, Acupuncturist, Kinesthesology, etcetera – it is ALWAYS a great idea to learn Anatomy – Stanford University has a FREE Anatomy Class online!! There are also a few aromatherapy and herbal conferences listed at Floracopeia.com – Wonderful lineup!! Other Natural Healing Schools and Training: Check out NaturalHealers.com; and Natural Healing College (which has HHP, MH, Nutrition and Ayurvedic training you can do at home). Also, check out Ayurveda Healing Arts Institute Ayurveda-Institute.org in Berkeley, CA, or this offering from Todd Caldecott. Also look into KP Khalsa and Jai Dev Singh. For free online lessons (approved by the site owner), see the National Library for Ayurvedic Medicine at www.nlam.in. Click the Herbal Green Pages for suppliers of bottles and other containers for your natural cosmetics! You can also try the Bottle Guide. For Essential Oils, try Liberty Natural Products in Oregon. For those of you serious about growing aromatic plants and making your own essential oils, try Jeanne Rose‘s other website, www.CopperStills.com – lovely!! Also, Missoula’s Lavender Lori Parr likes Gary Stadler’s Heart Magic hand-crafted Essential Oil Distillers! Looking for Aromatherapy Certification? Look into Floracopeia’s Online Aromatherapy Course! While we are at it: For Henna, consider Catherine Cartwright’s websites, Henna for Hair or Henna Page (see her Free PDF eBook on Henna for Hair), and lately I have been using Hemani’s Burgundy Henna and so-called Black Henna (which is NOT black, it’s just darker burgundy, be forewarned!) I also discovered an awesome hair system called the Morrocco Method International, which includes a Mayan-derived Lunar Calendar for optimizing hair growth and beauty – WOW! I also grabbed a lunar hair care PDF guide from Riding Moon Cycles. I would also like for all of those who are on chemical forms of birth control to examine the extremely harmful things that can happen to you! For information on natural and herbal birth control, please see my blog post and do your research thoroughly before embarking on this! A great place to start (and read EVERYTHING) is www.sisterzeus.com. Here is an easier way to navigate the site: www.sisterzeus.com/List, and there are others, like Susun Weed’s Forum, etcetera. To use an easy calendar-based tracking device like CycleBeads (used for fertility or contraception), see the “Fertile Window” blog. For health professionals wishing to learn FAM (Fertility Awareness Method) or NFP (Natural Family Planning, and NEITHER are the Rhythm Method! ), please visit Fertility Awareness Center, along with Justisse and Katie Singer’s Garden of Fertility website. To get additional info on Queen Anne’s Lace/Wild Carrot (Daucus carota) for contraception use, visit Sister Zeus’ QAL Page and Robin Rose Bennett’s QAL Page. Don’t forget to see the 2011 Wild Carrot Study (or the PDF). For a more in-depth source for many herbs, please read the well-researched information in Natural Liberty. PLEASE use any of this information at your own risk! 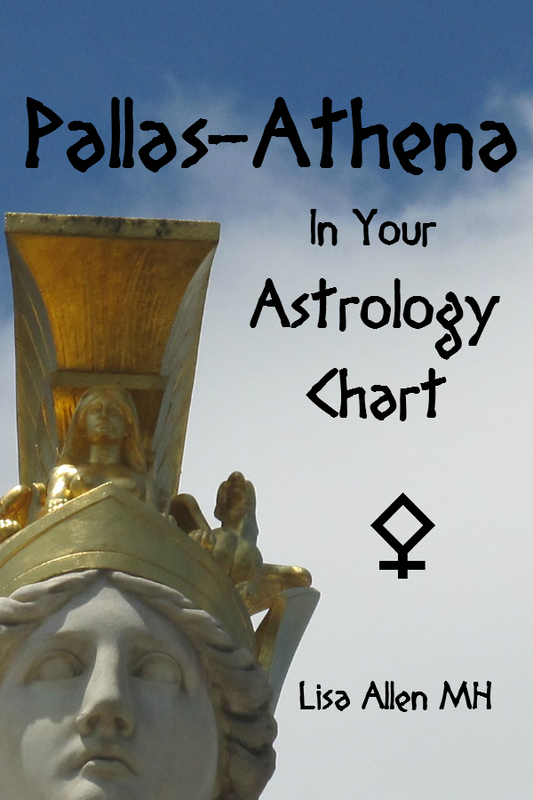 This is intended for those who are responsible with their bodies and in monogamous relations, as that will be the most grounding and predictable way to work with these energies. The more unfamiliar and out-of-touch with your body you are, and the more chemicals you have in your diet, water, and surroundings, the less this information will work for you. When getting off of the chemicals in your life, use another method in the interim until you are once again in-touch and familiar with your body. Guys – you may want to look into “Neem” at the Sister Zeus site! While we are at it – Aviva Institute and the Institute of Holistic Midwifery provide distance/online Midwifery Training, Certification and Degrees! I also ran across this Doula E-course that is worthy of a look! For Plant Identification – I hope to collect many, since the areas we live in will all be different. Remember to do a Google “image” search for the Latin name of the herb/plant to see many (hundreds!) of pictures helpful for plant identification. Beginning Botany: Know these 7 Families, and instantly identify MANY plants! From Thomas Elpel, Author of “Botany in a Day” which was one of my textbooks for herbalist training! See also Flora de la Terre’s website and podcast. Here is a handy Plant Glossary! University of Montana (Missoula) INVADERS Database for WA, OR, ID, MT and WY! US Forest Service – Lots of things here, check out the Plant Database and the Free PDF Coloring Books for kids! DiscoverLife.org has nice ID Nature Guides, most for North America (including Mexico) and some global. Mushroom Matchmaker – Downloadable Program too! Grow your own Ginger and Pineapple from your grocery scraps! Think of growing other seeds too! Need to look into the effects of Codex Alimentarius more deeply? Start exploring IAHF! This is seriously amazing stuff. Its cool to be able to meet others with the same interests and especially a master at that. That is definately what i am striving to become. By the way those card seem to be quite amazing where did you come by those? It is also one of my goals to be able to memorize and have in my head all i can about what herb or combination of herbs heals or at least helps alleviate what ailment kind of like the Druid masters of old. Be willing to learn from the plants themselves. Dowsing is one way to communicate with the plant world, but if you have other shamanic talents, I would use those! While this is no substitute for basic herbal training, these are the talents that will serve you greatly once your foundation is created so that you can create your own “house of plant knowledge” – I hope the Herbalism Resource page has been useful for you. Thanks again for reading! Keep me posted on your studies, formal or informal! great list of links! WOW i’m speechless…………..
Hi Lori! Yes indeed, I remember you mentioning him for aromatherapy/essential oil distilling equipment at the Montana Herb Gathering demonstration you did! Thanks for noticing how detailed this collection of resources really is – I refer it to people doing herbal research all the time! I wish you an amazing season this year at market!